The VGA Extender over CAT5/6 with Audio is used to extend transmission distances for VGA signals with stereo audio up to 1000 (300m) over a single CAT5/6 cable. 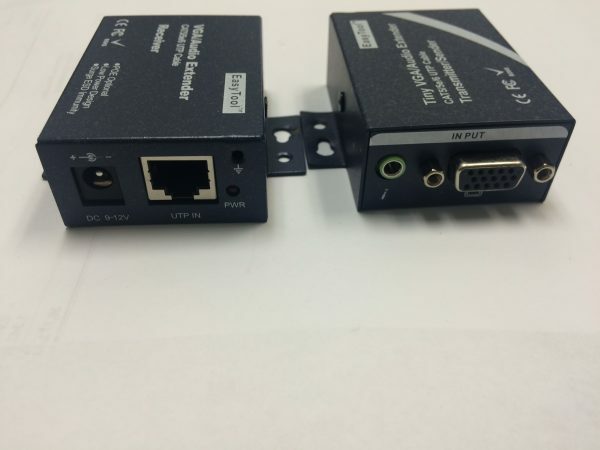 Employing 15-pin HD connectors for input and output connections, the extender supports signal resolutions up to WUXGA (1920×1200@60Hz) and HDTVs to projectors. Featuring separate gain and peaking rotary switches for adjusting brightness and skew, the receiver allows you to adjust signal quality over variable cable lengths. The transmitter maintains signal integrity and rejects noise interference by providing buffering at the output and features an additional VGA port for local display which allows you to monitor the data being sent. In addition, it comes with a 3.5mm jack for stereo audio. The VGA Extender is rack or under-desk mountable, and requires 5 VDC supply for operation provided by the included external power supply. 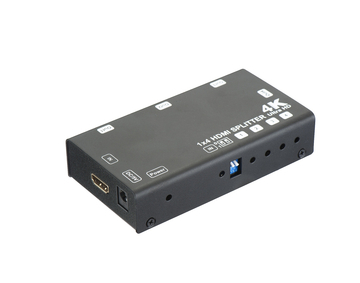 Used to extend transmission distances for VGA signals with stereo audio up to 1000′ (300m). Uses a single CAT5/6 cable. 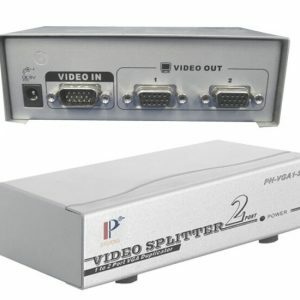 Employs 15-pin HD connectors for input and output connections. 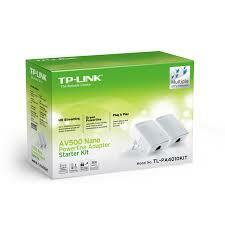 Supports signal resolution up to WUXGA (1920×1200@60Hz) and HDTVs to projectors. Receiver features separate gain and peaking rotary switches for adjusting brightness and skew. 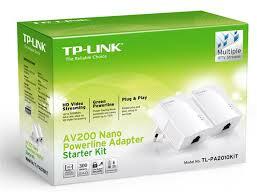 Allows you to adjust signal quality over variable cable lengths. Features a 3.5mm jack for stereo audio support. Requires 5V DC supply for operation.